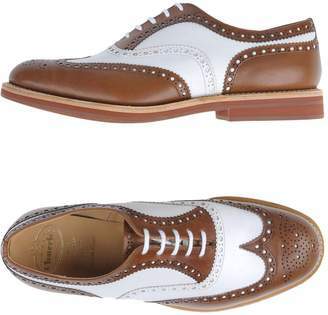 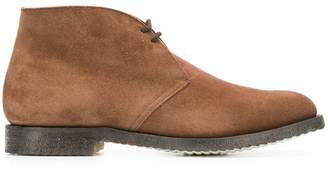 Thriving in the early Victorian boom, Church’s an English brand over a hundred years old. 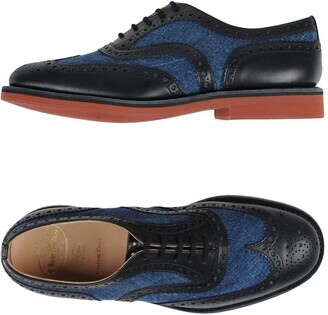 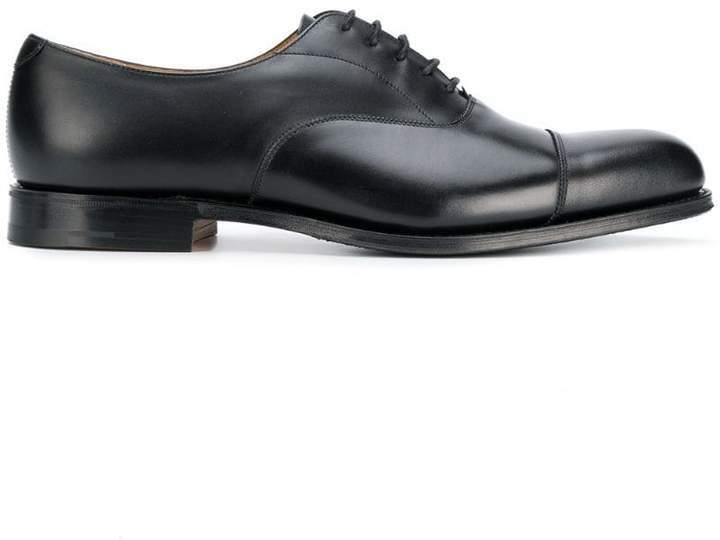 Rupturing quotidian aesthetics, the craftsmanship brand provoked the market with unique and bold models. 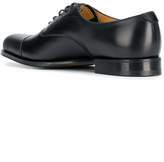 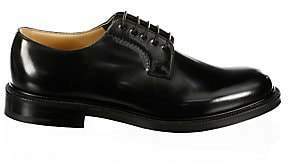 These black leather lace up shoes from Church's featuring a lace fastening and a chunky heel.